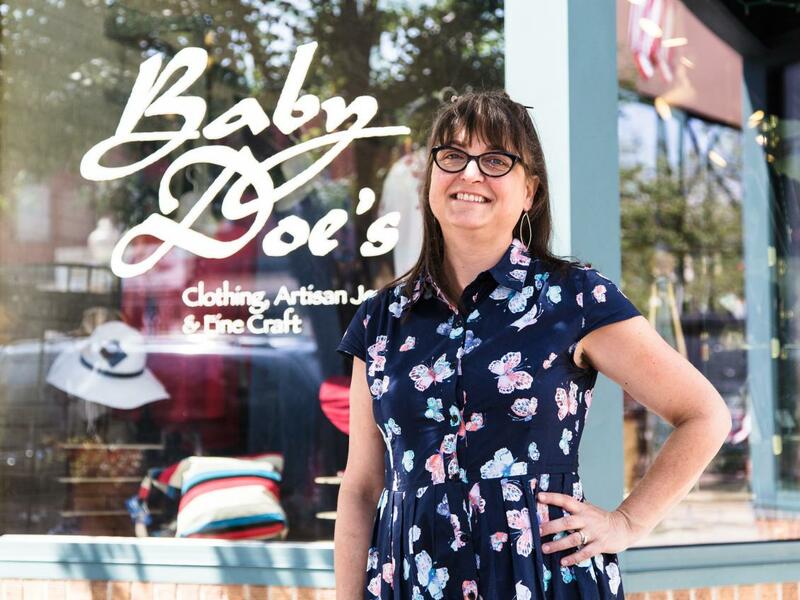 Baby Doe’s has been a downtown Golden staple for 19 years, specializing in women’s clothing, artisan jewelry, and fine craft. 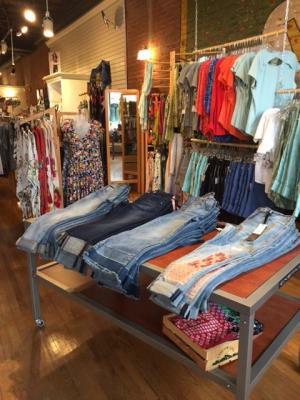 Since taking ownership in April of 2017, Lynn (who has been with the store for 16 years) has brought in many domestic clothing lines including A.N. Designs, Ava Rose Designs, and Hard Tail. Plus, Spinster Sisters has moved in, creating a shop within the shop. One of Lynn’s favorite things about running Baby Doe’s is the overarching philosophy of a community of women. She has regular shoppers from all over the country who come to the store when they visit annually. Along with the locals who also love the shop, this creates a lovely community of women. We sat down with Lynn to learn more about her perfect golden day. I start my day with a walk to work along Tucker&apos;s Gulch and up to the Clear Creek path. As I’m walking, I often act as tour guide for visitors—advising on where to go and what to do. My 15 minute walking commute to Baby Doe’s is the perfect way to start a day and really quite lovely. I usually try to get an early start so that I can sit in Café 13 and enjoy coffee and breakfast. You can get a great diner breakfast there but not many people know that. I usually see so many people I know that my eggs are cold by the time I get around to eating them. After a day of greeting customers at Baby Doe’s, my husband and I walk Washington Avenue and pop into Vital Outdoors for a new pair of shoes. Shoes are my weakness. Other shops I love are the Red Wagon, Golden Goods and Blue Moose Trading Company. We make our way up the hill for dinner at the Sherpa House Restaurant and Cultural Center. This restaurant is such a treasure. There’s not another place like it in the state. We especially love taking visitors here. On the walk home, we wander through the Golden History Park and enjoy the gardens with native plants and say hello to the chickens. This free park is another Golden gem. 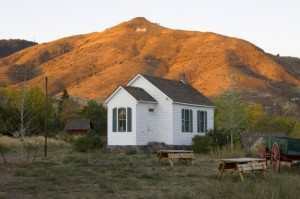 If the weather is just right, we sit and soak up the sunset from one of the benches or picnic tables. It truly is the perfect way to end a day in Golden.